Welcome to A Sampling Bee! Today, I am sharing with you January's Degusta Box USA. 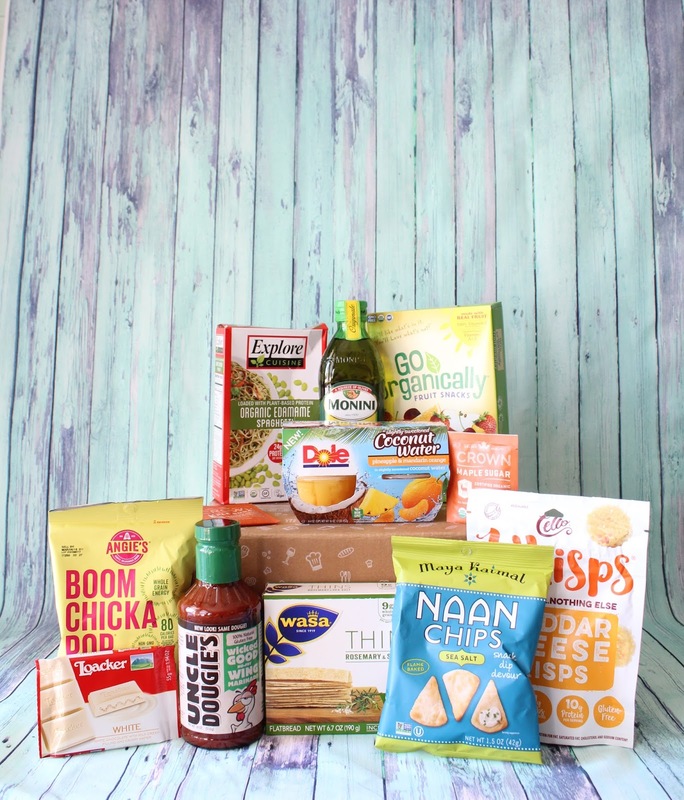 This monthly food subscription box delivers 9-14 full sized samples right to your door! The boxes are loaded with snacks, drinks and meal prep items. Get 50% off your first Degustabox! Enjoy 9-14 FULL-SIZE tasty goodies worth over $30 delivered straight to your door for just $9.99! Shipping is free! Boomchickapop Sea Salt Popcorn contains just popcorn, sea salt and just a bit of sunflower oil. Degusta Box USA is my favorite subscription box! It's so fun to get so many yummy products delivered to my door every month. Most of the products in this month's box are new to me. That's another reason why I love this box. It allows me to try new food products each month. My favorites this month are the Naan Chips, Loacker Chocolate, Whisps and the Olive Oil. Oh, and the Wasa Thins! Those thins are so good with a slice of cheese or guacamole. Degusta Box USA is only $19.99 a month and worth every penny! Subscribe today and save 50% off your first box! Welcome to A Sampling Bee! Sneakz has a new product available! Introducing the new Vegan Protein Powder! Sneakz products are aimed towards the little picky eaters in your life. The ones who push their vegetable off of their dish or feeds them to the dog. It's time to change that, moms and dads! Sneakz's mission is to help provide a happy, healthy life for families and their little ones. And, I'd say that they are doing just that! Sneakz Protein Powder is a nutrient rich protein powder that is packed with 14 grams of protein, probiotics and 10 essential amino acids. Each serving contains 1/2 serving of daily vegetables. The protein powders contains an organic veggie blend of pea protein, carrot, cauliflower, beet and sweet potato. Other ingredients include: Organic cane sugar, Organic flavors, Citric acid, Bacillus coagulans GBI-30 6086. Sneakz Vegan Protein Powders are organic, non-GMO and gluten-free. They do not contain any carrageenan, antibiotics, artificial ingredients, artificial flavors or colors, sweeteners or synthetic hormones. Sneakz Protein Powders come in 3 different flavors: Strawberry, Vanilla and Chocolate. Sneakz does a great job at "sneaking" vegetables into their products. 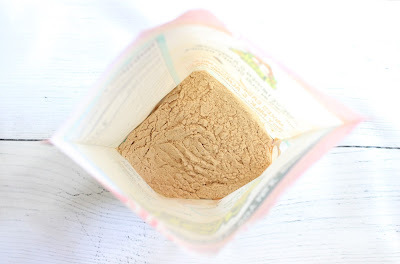 I cannot tell, nor can my kids tell, that there are vegetables in this protein powder. If you're anything like me, I am always so worried that my kids aren't getting enough vegetables in their diets. With Sneakz in their diet, I worry less. Knowing that they are getting at least some vegetables daily. My kiddos got to try the strawberry flavor and they loved it! I added the protein powder into their smoothies as well as mixed the powder with just milk. The really liked it both ways. I enjoy drinking a shake with some Sneakz, too! It's really good! Sneakz are a much healthier alternative to flavored milks. They contain less sugar and are much healthier. We also love their Milkshakes! Read my review HERE. I received Sneakz Protein Powder in exchange for my honest review. All opinions are my own. Always! Welcome to A Sampling Bee! If I haven't said this already.. Happy New Year! I hope each and every one of you have a spectacular 2018! Today, I am reviewing Crispy Green's Dried Fruits. This company was founded in 2004 and is now the number 1 dried fruit brand. Their philosophy is to keep it pure, keep it tasty and keep it wholesome. This has always been their guiding principle for their continued product development. Since 2004, the Crispy Green team has been providing high-quality freeze dried fruit snacks. Providing nutritious and delicious snacks to consumers of all ages is what Crispy Green is all about! Crispy Green's products are 100% fruit and nothing else! Each bag contains a single ingredient, FRUIT! You won't find and additives or preservatives in Crispy Green. You won't find any cholesterol or fats, either! Their sophisticated freeze-drying process removes the water from the fresh fruit. Leaving behind the fruit's true essence and a light, crispy texture. Crispy Green Fruits are gluten-free and non-GMO. Crispy Green Fruits are a healthy snack that is perfect for snacking! Have a craving for a healthy snack? Then try Crispy Green's Dried Fruits! I love these freeze-dried fruits because, for one, I know that I am eating just fruit. Second, they're like chips! But, much healthier! They're crispy, too! My favorite flavors are the Pear, Mango and Pineapple. Crispy Green Fruits are low in calories, low in sugar and low in sodium. Snack on Crispy Green Fruits in between meals, take with you on-the-go, or pack in lunch bags! They're delicious! I received Crispy Green products in exchange for my honest review. All opinions are my own, Always!